Robert Hall Originals, St. George, ON. Information, Photos and Reviews. 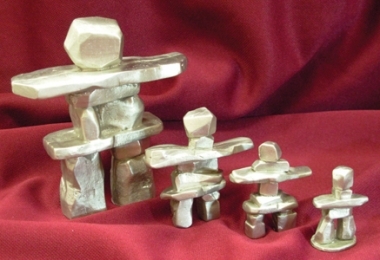 Robert Hall Originals is Ontario’s largest Pewter Studio, Rock Shop & Jewellery Showroom. This truly unique 2600 square foot showroom and studio combines Canadian made treasures with Mother Nature’s awesome beauty. Proudly Canadian Made by Canadian Master Pewtersmith, Robert Hall Parry. Each of the more than 3000 pewter giftware items is designed and created on site. Themes include celtic, Canadian, wildlife, equestrian and many more. You will be pleasantly surprised to find an enormous selection of Gemstone Beaded Jewellery created by Robert and daughter Heather. Sign up to take a jewellery making class and learn the art of beading or wire wrapping. A vast assortment of semi-precious gemstone beads and jewellery making supplies are available. Saturday: 10:00 a.m. – 4:30 p.m.
Nobody has reviewed Robert Hall Originals yet, Be the first. You are submitting a booking enquiry. Robert Hall Originals will then contact you by email with details of availability and prices.